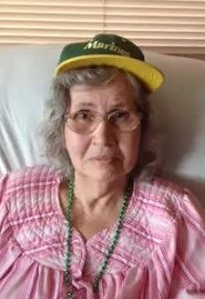 My gentle and kind aunt, (my father's sister) Tia Cuca, passed away in her sleep in Miami this morning, and yet another tree falls in the silent forest of the bitter exile of the Cuban Diaspora. She was born in the countryside, near the city of Guantanamo, in the Oriente province of Eastern Cuba, the fifth daughter (of six) of Galician immigrants to Cuba. In the 1960s, Cuca and her family escaped Cuba (via Spain) and settled in Brooklyn, in the six apartment brownstone owned by her sister, my aunt Nica. When I was a kid in Brooklyn, Tia Cuca lived in the apartment above ours in that house, and no matter when I'd pop into her apartment, she'd always sit me down at the table and would start feeding me - and she was one of the best cooks ever! There's no cook on this Universe who ever made a better black bean soup! 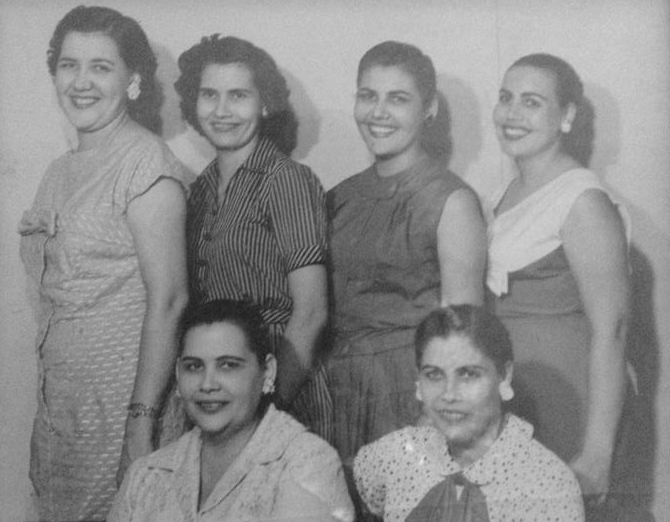 My Campello aunts in the 1950s - Tia Cuca is the second from the left in the top row. I never saw her angry, and she had the most contagious laugh on the planet! Don't get me wrong, Tia Cuca was also tough as nails, but her toughness came in a brilliant and pliable form - she would bend, but never break, as the saying goes. We will miss you, Tia.